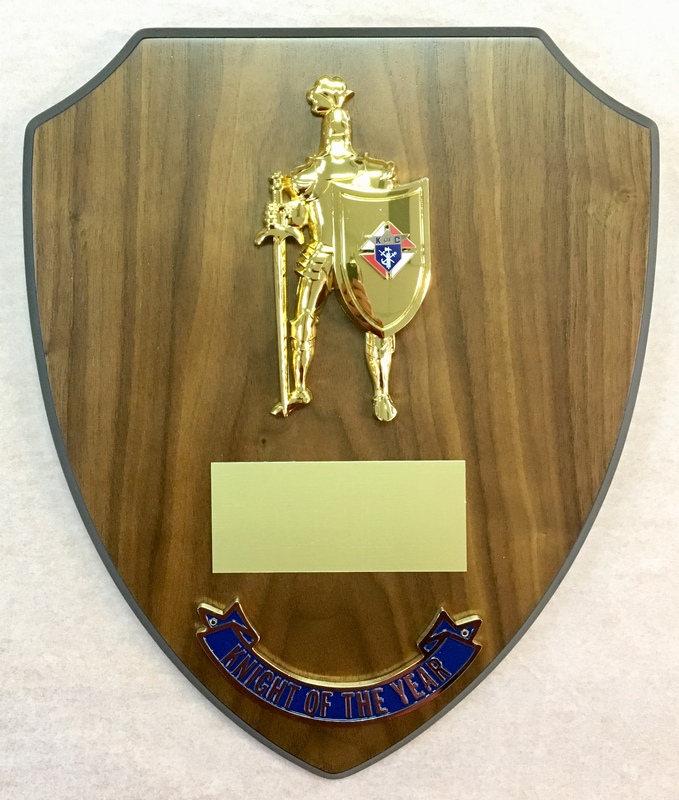 K of C Knight of the Year Plaque -Solid metal gold knight with Emblem of the Order or 4th degree emblem on shield. 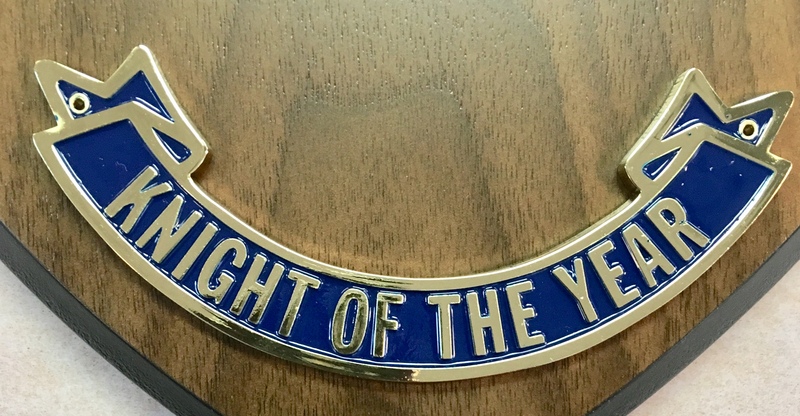 Gold-tone plate with "Knight of the Year" arch. 10" x 12". (Engraving: $.35 per character).